Xerox confirms Ursula Burns as head of post-separation Document Technology Company. 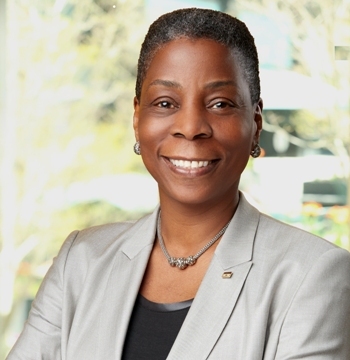 Ursula BurnsIt was announced on 20 May 2016 by the Board of Directors of Xerox that Ursula Burns will take over the reins as chairman of the board of the Document Technology Company following the completion of the separation of Xerox into two independent, publicly-traded companies. She will continue in her current role as chairman and chief executive officer of Xerox until the division. Xerox announced last January that it would separate into two stand alone companies – a Document Technology company comprised of its Document Technology and Document Outsourcing businesses and a Business Process Outsourcing (BPO) company. The splitting of Xerox into two distinct entities is on track to be completed by the end of 2016. The Document Technology Company will be a leading global player in document management and document outsourcing with $11 billion in 2015 revenue. Burns added, “I am looking forward to my role as chairman of the Document Technology company and to continuing my deep personal and professional commitment to its success. “I remain focused, however, on ensuring Xerox and the post-separation companies are positioned to build on our strong heritage and capture new opportunities we have identified to create value for employees, customers and shareholders. The Document Technology Company will focus on leading the market with superior technology, solutions and innovations that optimise document management in an increasingly interconnected, digital world. Xerox pointed out that its strong profitability and free cash flow generation will enable significant capital returns and provide for selective investments in attractive growth areas. The BPO Company will concentrate helping businesses and governments manage large-scale, transaction intensive processes with their patients, commuters, travellers, citizens, and employees. With approximately $7 billion in 2015 revenue – more than 90 per cent of which is annuity based – the company is focused on attractive growth markets including transportation, healthcare, commercial and government services.